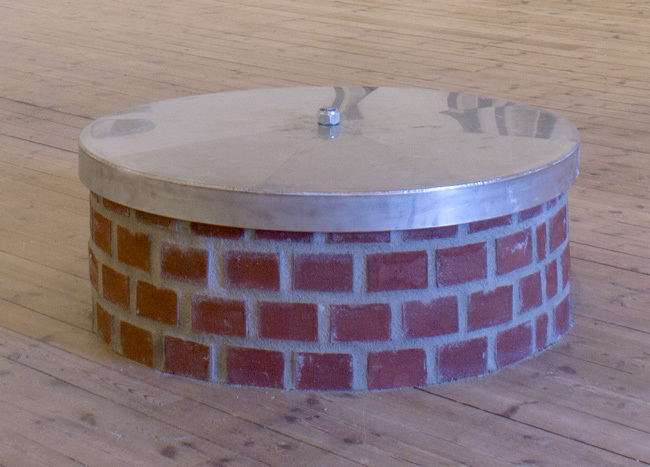 site-specific sculpture of brick, mortar and steel cover. Diameter ca 100 cm, height ca 45 cm. Built in Uppsala Art Museum by Dan Ahlgren. The cover is a duplicate (made at the same time, by the same company) of the cover on top of the "Tenth Chimney".